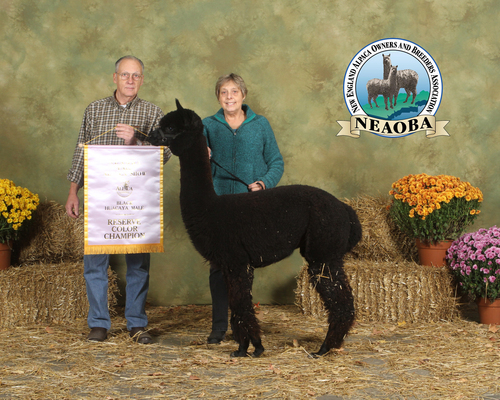 ORLANDO is MAPACA"S HERDSIRE OF THE YEAR 2012 & 2013! Orlando's offspring have won over 80 Color Championships/ Reserve Championships, and over 160 Blue Ribbons! Nightengale is conformal correct with an exceptionally long stable, soft handle, excellent density, uniformity and brightness. She has the presence that that gets your attention when you see her or she walks in the show ring. To date, Nightengale has done very well at the shows bringing home (2) Color Championships, (4) Reserve Championships; and many other ribbons, placing no less than 3rd at any show. Nightengale ended her show career at the end of the Spring 2014 show season. HUDSON of CABIN VIEW is a remarkable achievement. He is a true, true black, with a fleece that you want to bury your head in. 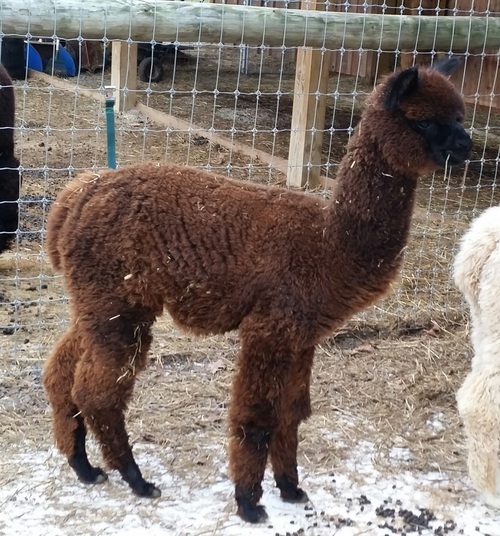 Everyone states that the fleece on their alpacas are fine, bright, crimpy, etc. Well the handle and brightness of the fleece on this guy is the real thing. She is a beautiful Bay Black or Dark Brown – depending on the light. As you can see from her pictures, she stands proud and exhibits great conformity. 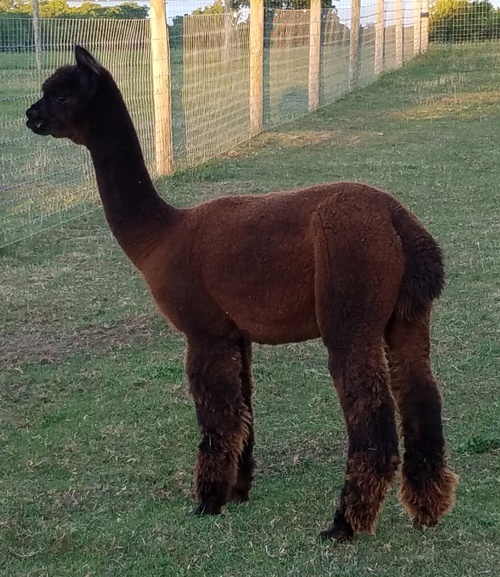 Her fleece is extremely fine and well below the national average. She hails from some very impressive genetics as well. Her sire is none other than ORLANDO CLOUD and her dam is QUATRAIN’S NIGHTENGALE a 5X banner winner during her show career. (Quatrain is out of the infamous Jeremiah). Just imagine what Cinder could do for your breeding program. She is a great foundation female! 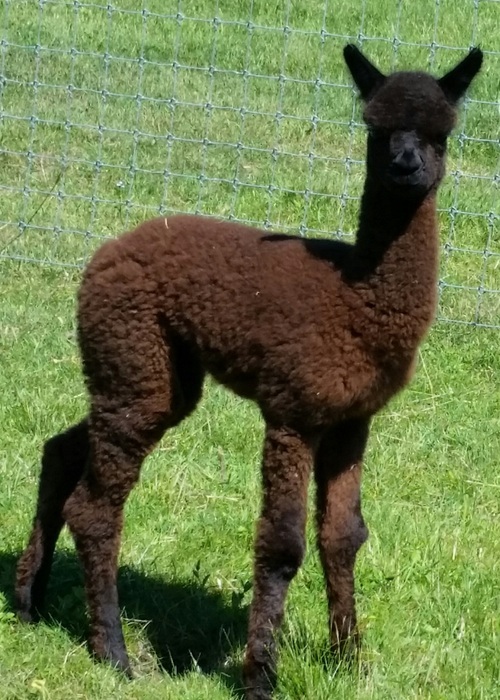 UPDATE: Cinder has been bred to Hudson of Cabin View, a beautiful (or should I say handsome) true black male, hailing out of A.L. 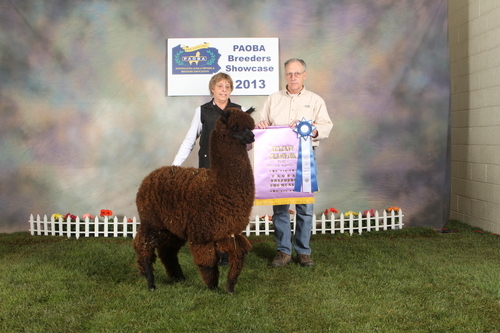 Paca's Andromeda Galaxy, a 9 time champion!